who doesn't love the classic mozzarella, tomato, and basil summer salad? 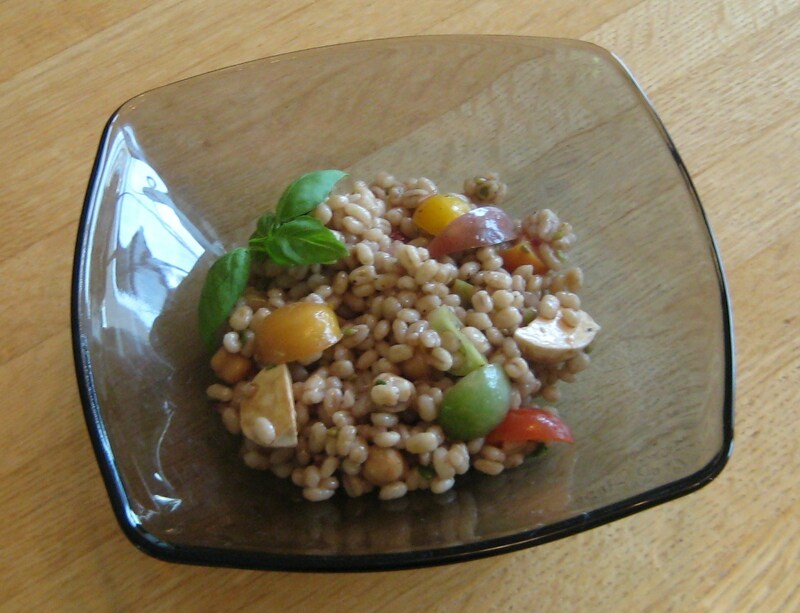 well this spin on the salad gives you the added benefits of protein and grains! 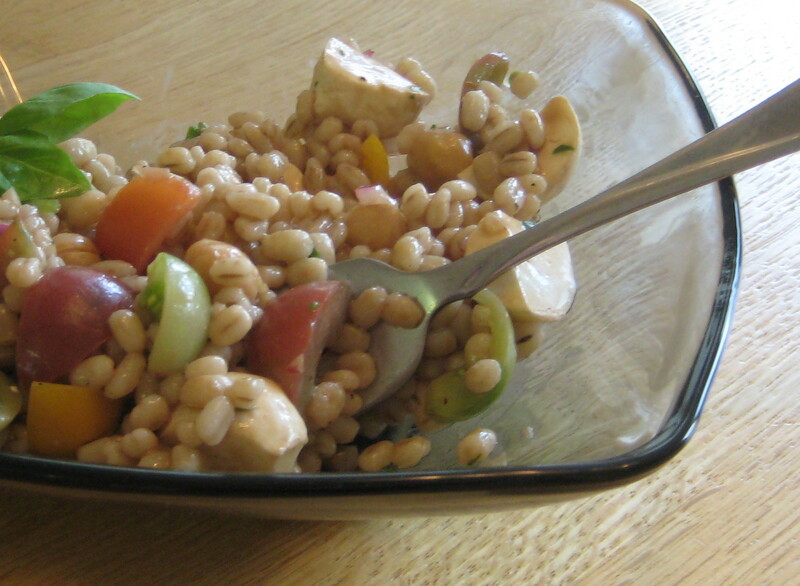 the light, nutty flavor of the tiny pearly barley blends great with bright vinegar flavors and the colorful heirloom tomatoes are just as appealing to the stomach as they are to the eyes! bring a bowl of this to your next picnic, and it'll be the star of the show, as will you! this dish was inspired by the colorful, tiny heirloom tomatoes at Trader Joe's. -instead of chickpeas, use cannellini beans!